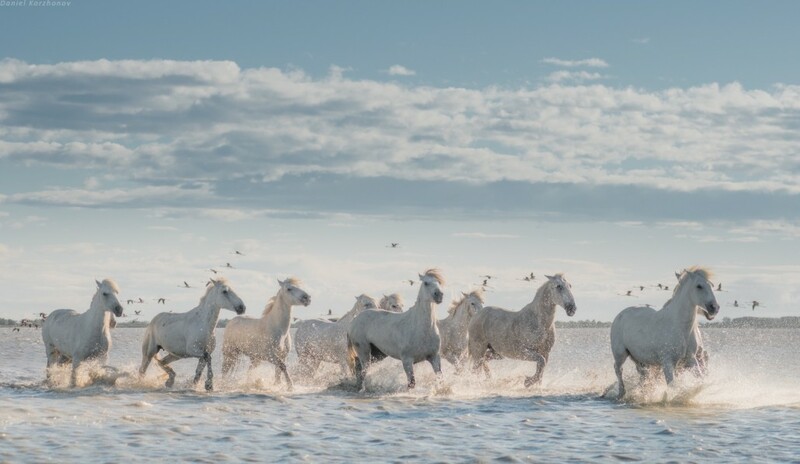 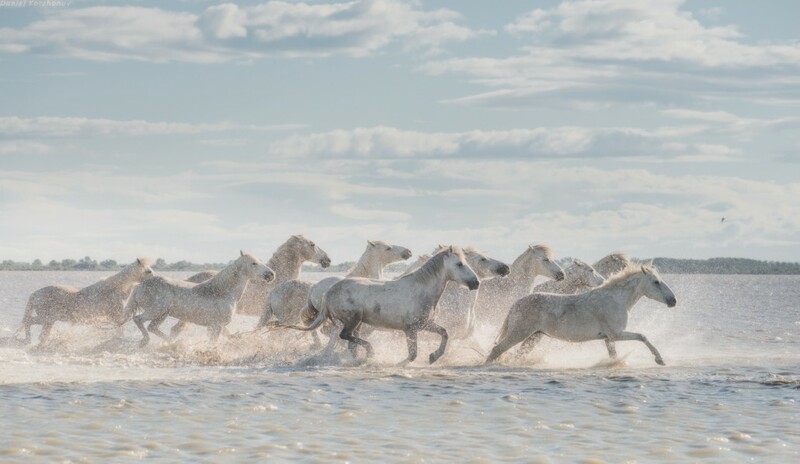 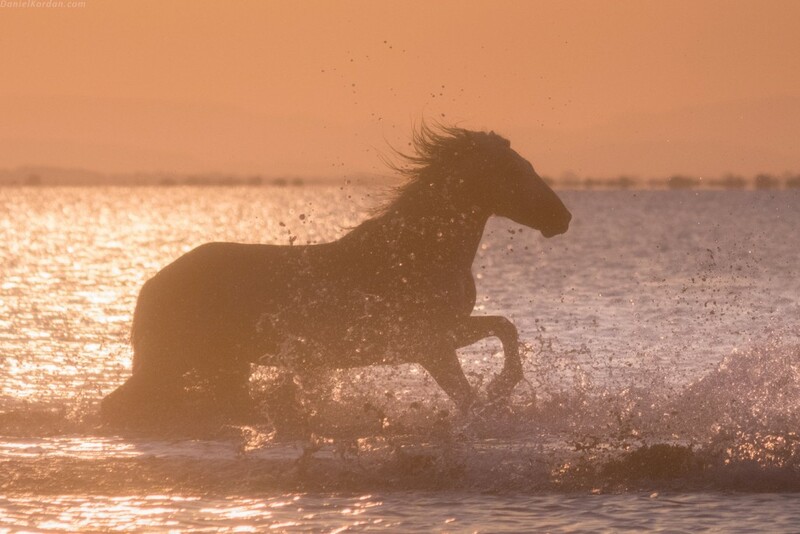 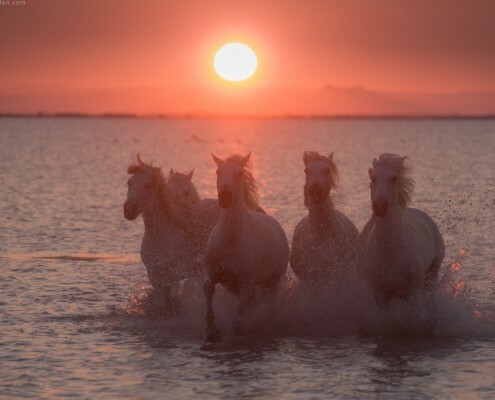 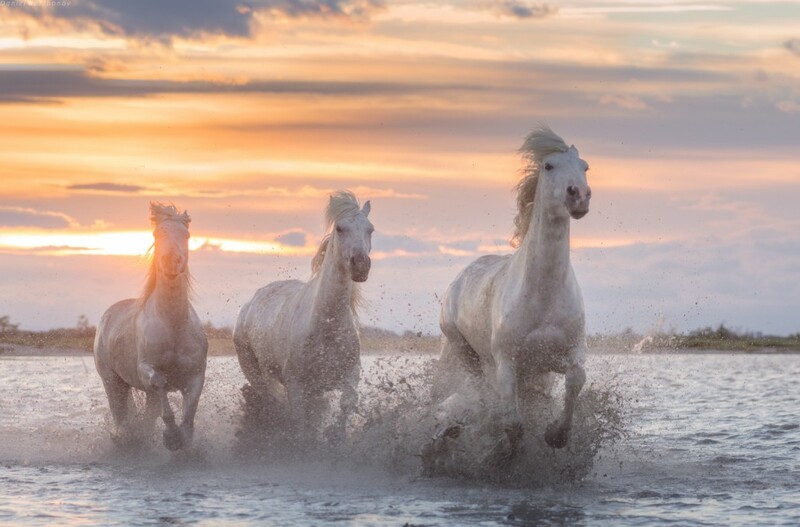 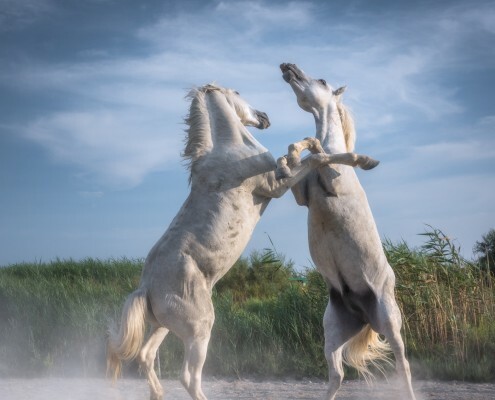 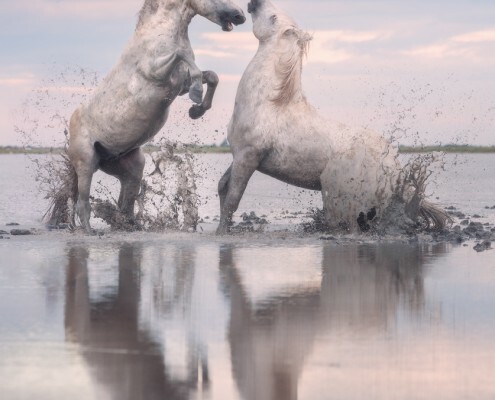 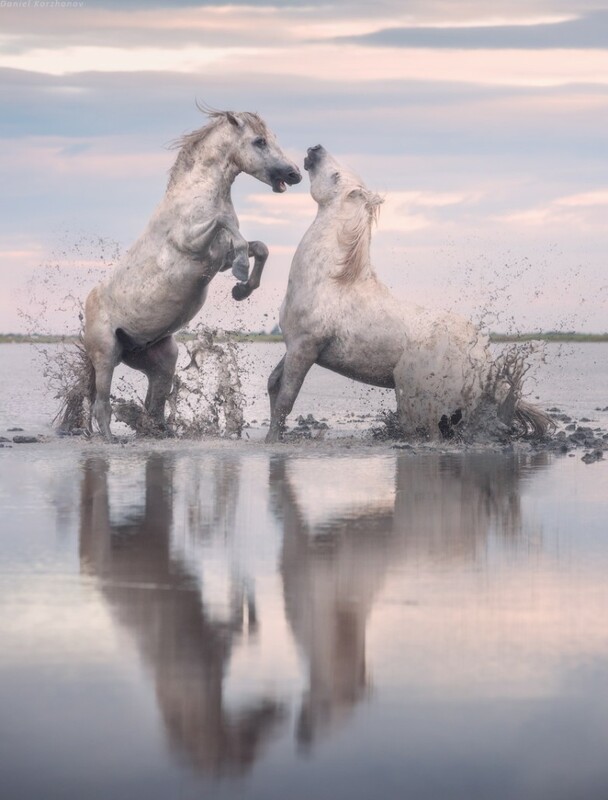 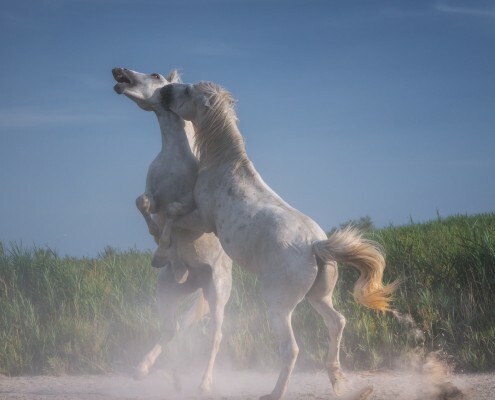 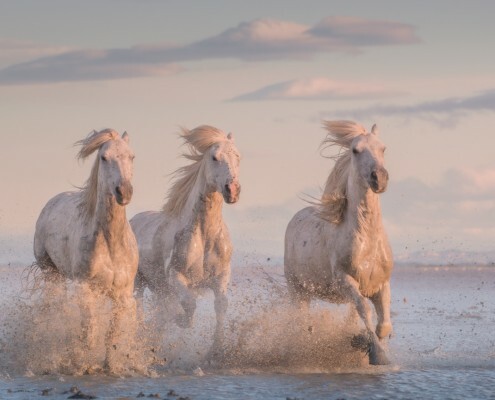 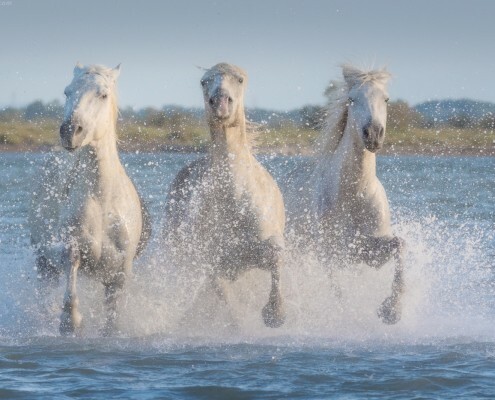 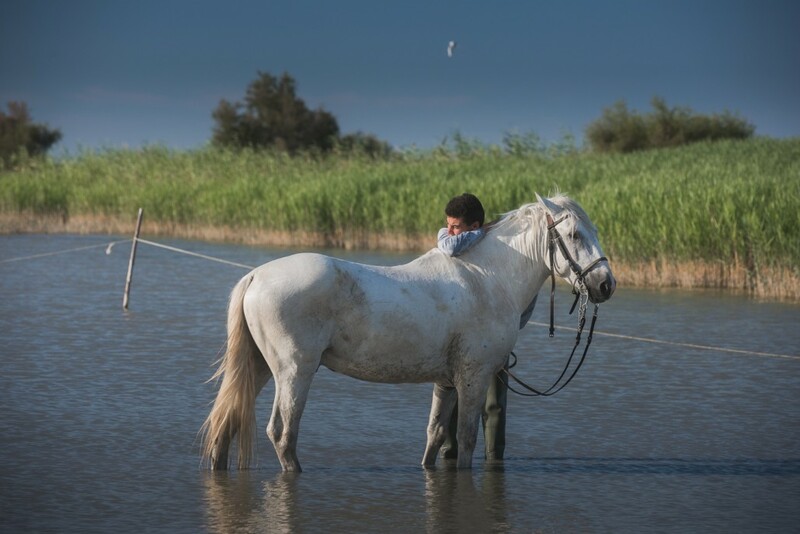 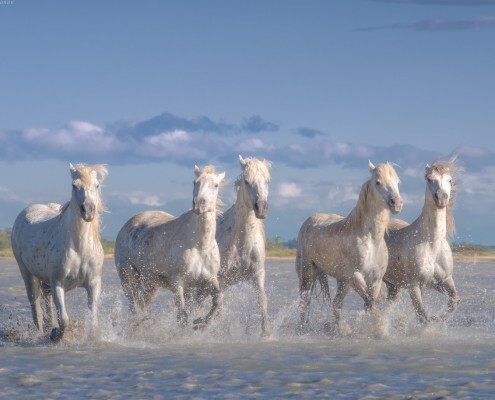 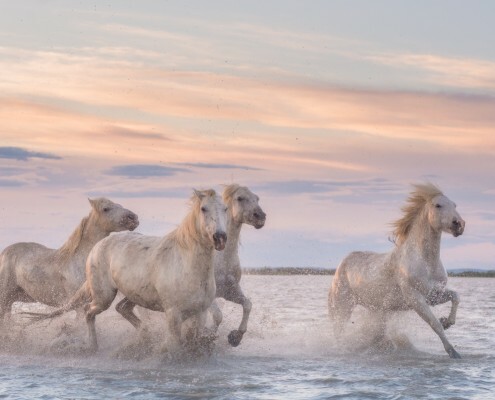 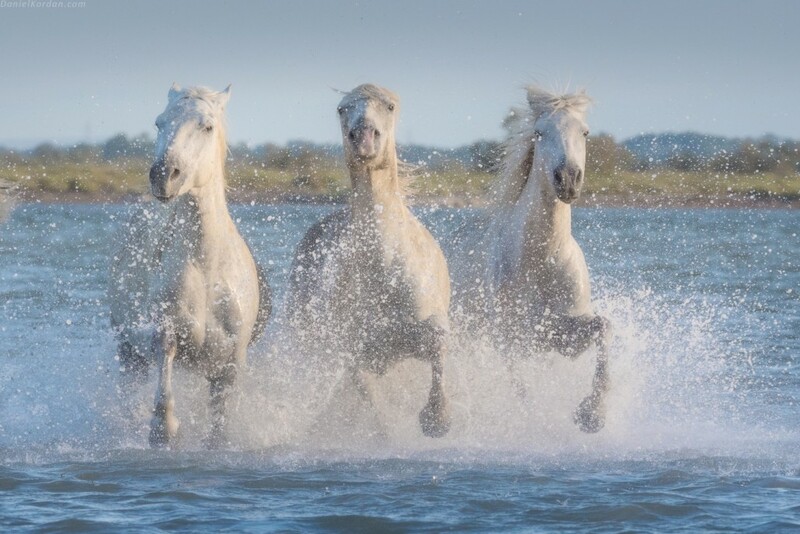 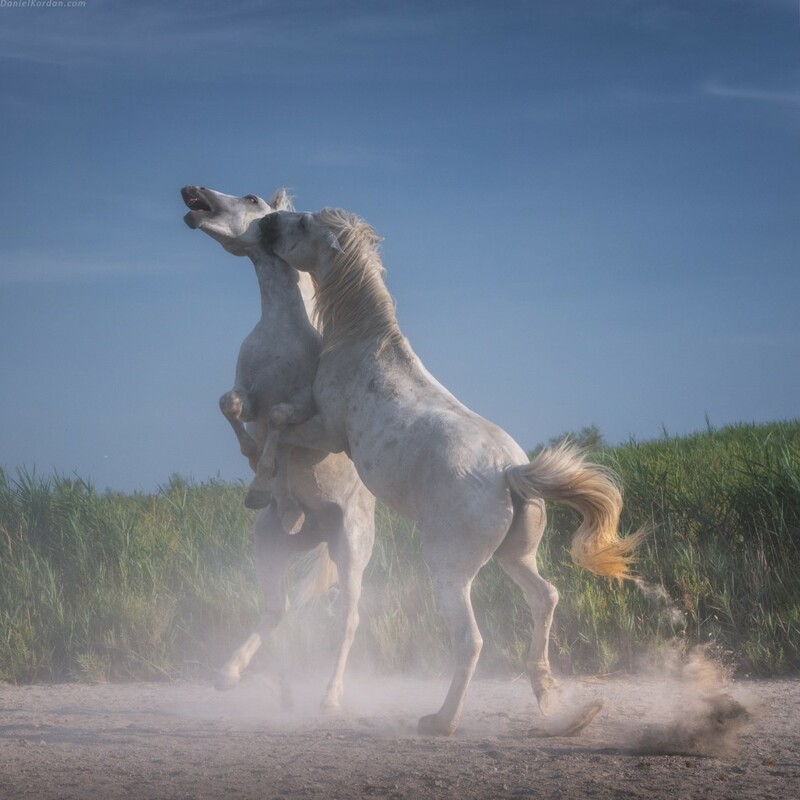 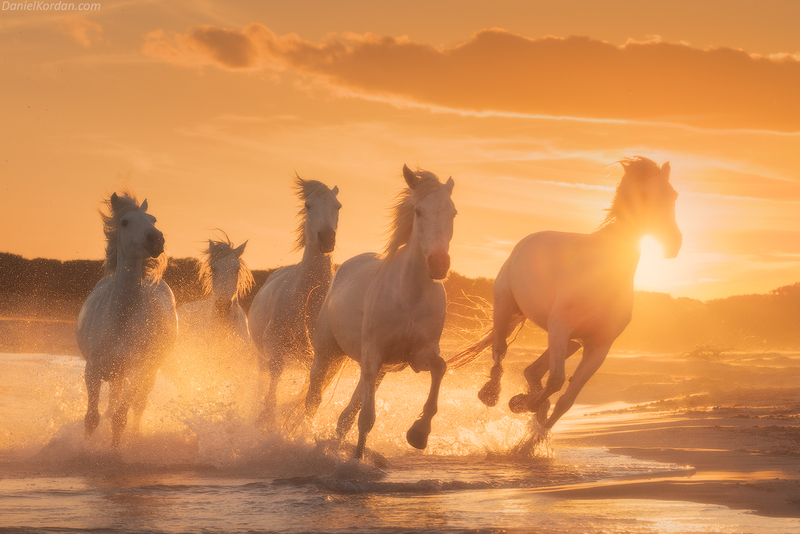 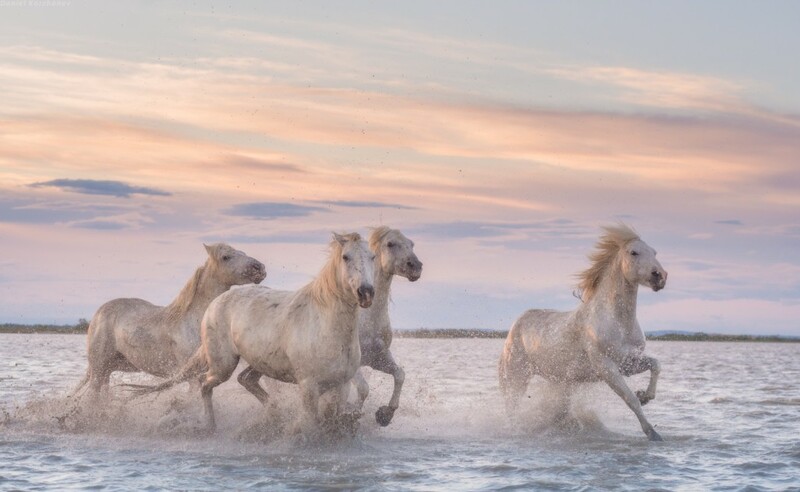 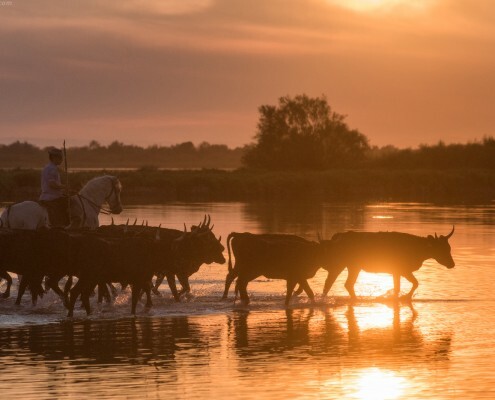 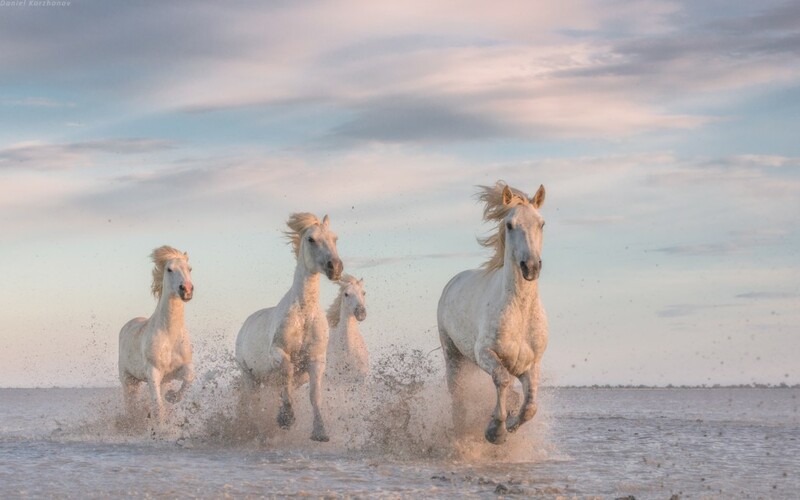 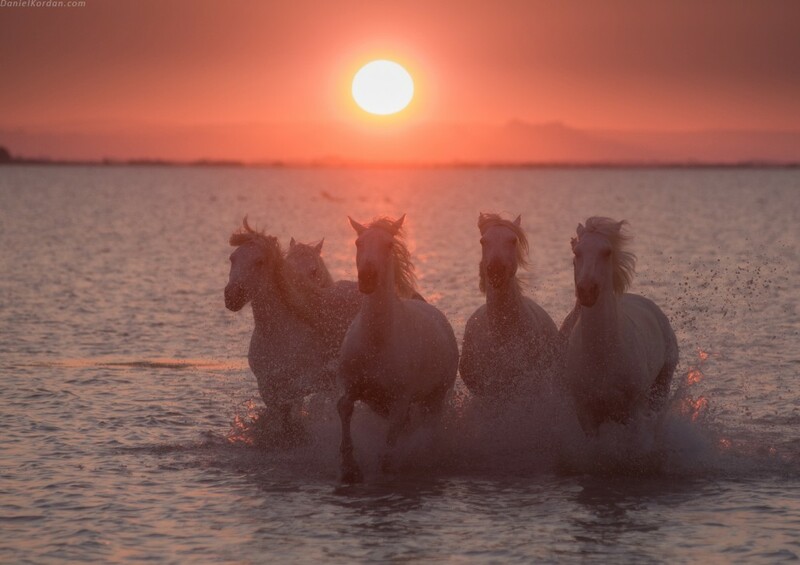 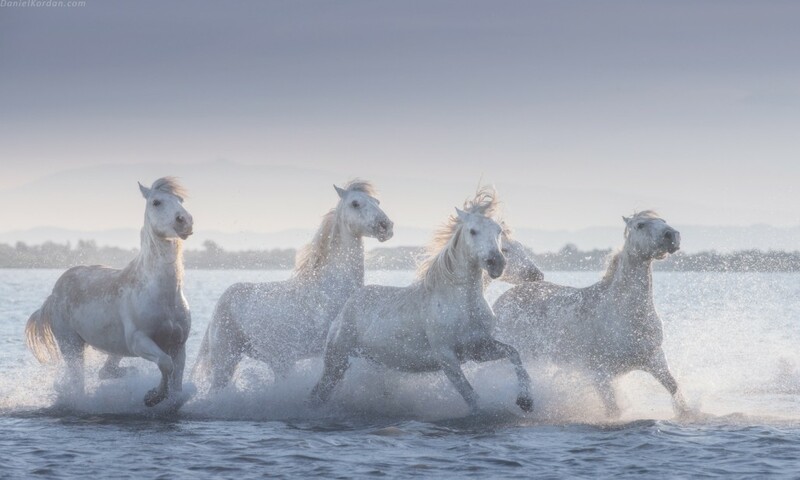 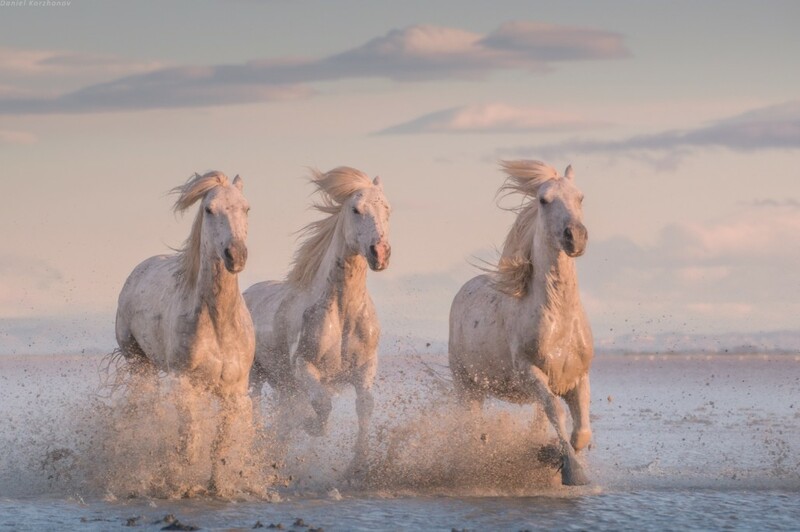 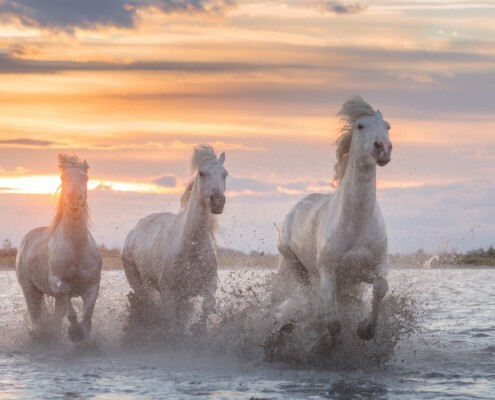 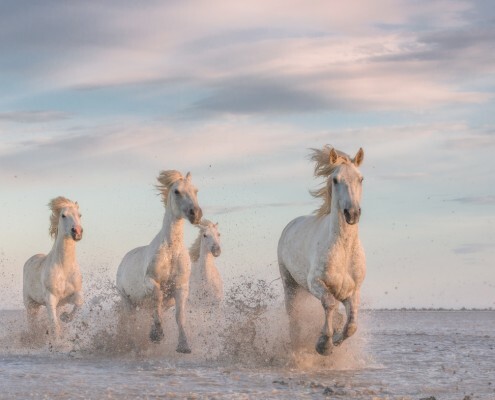 Camargue is a paradise for those who love animals, nature and horses. 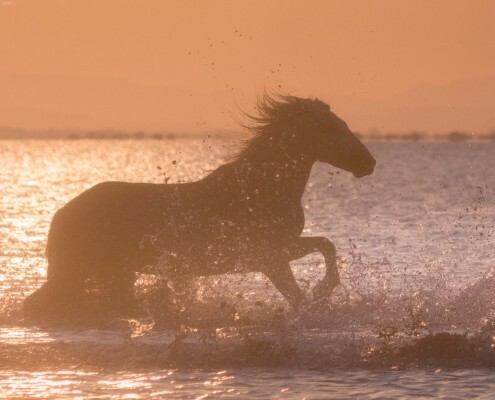 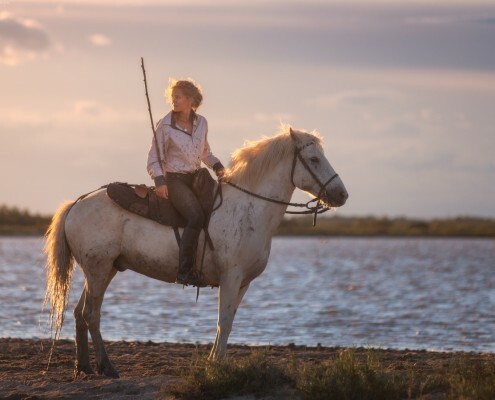 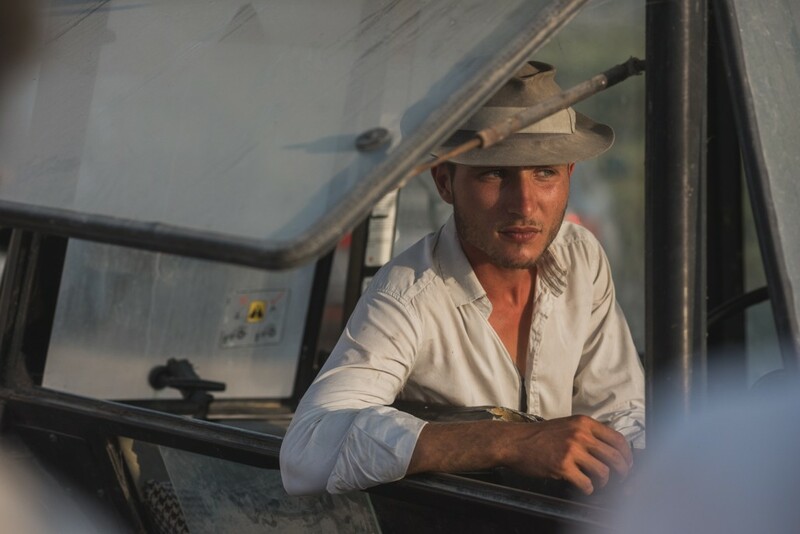 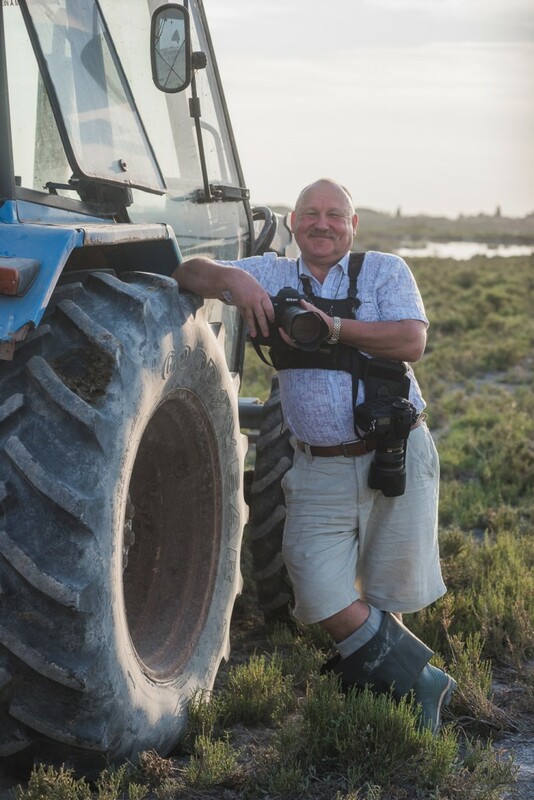 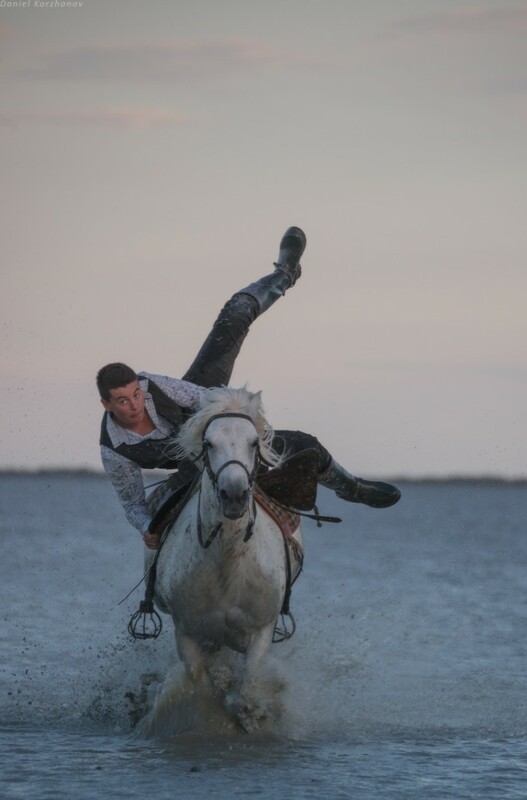 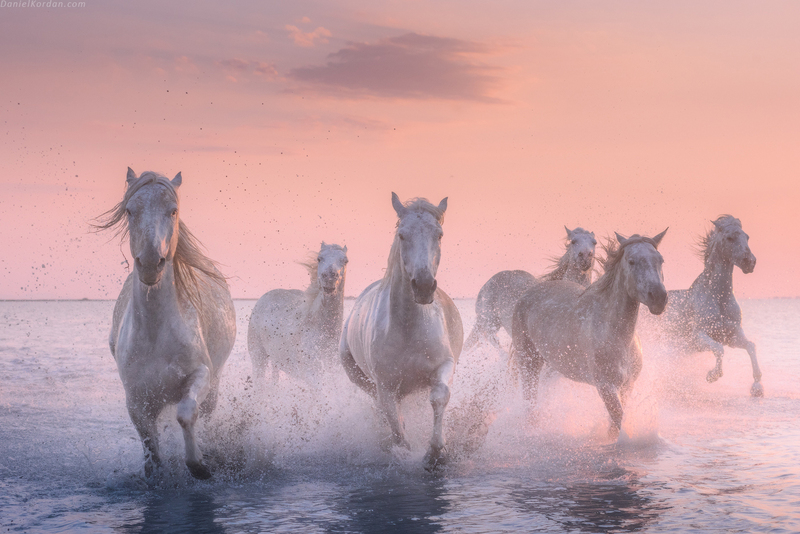 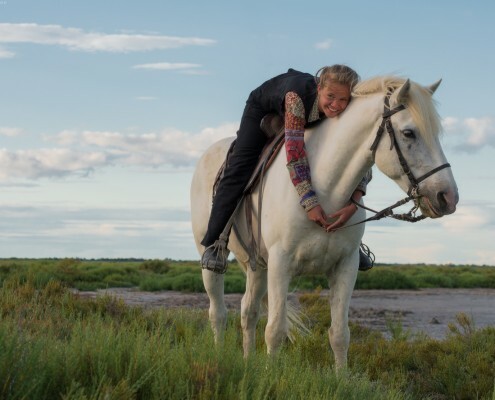 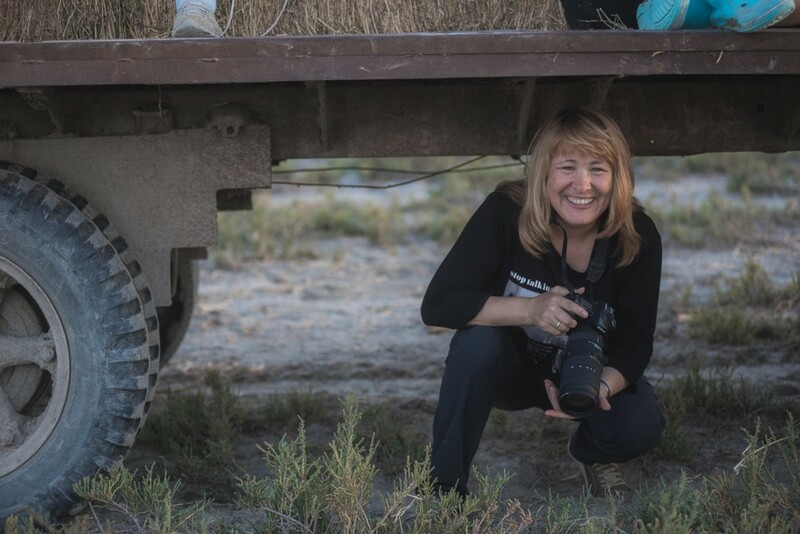 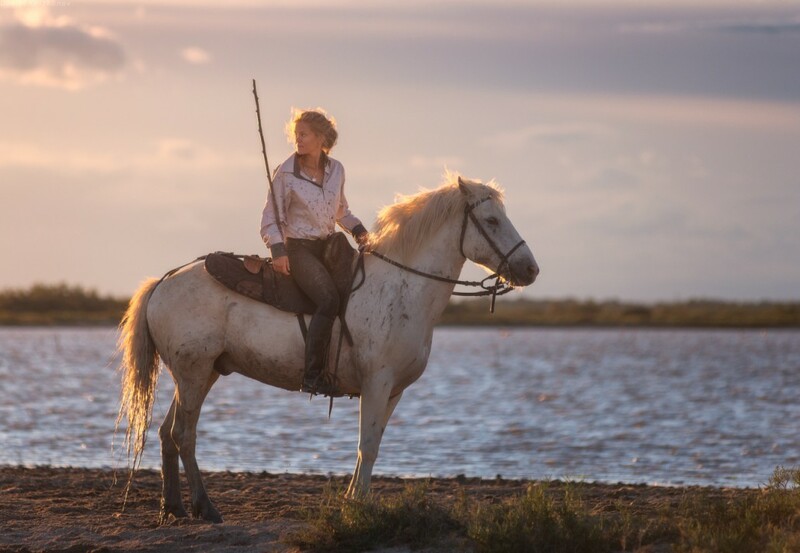 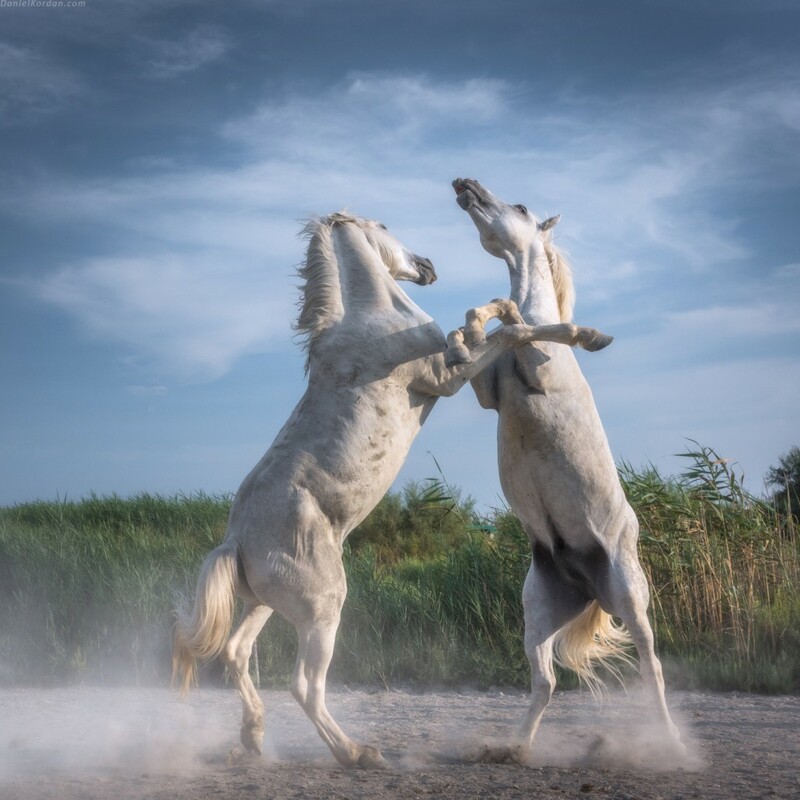 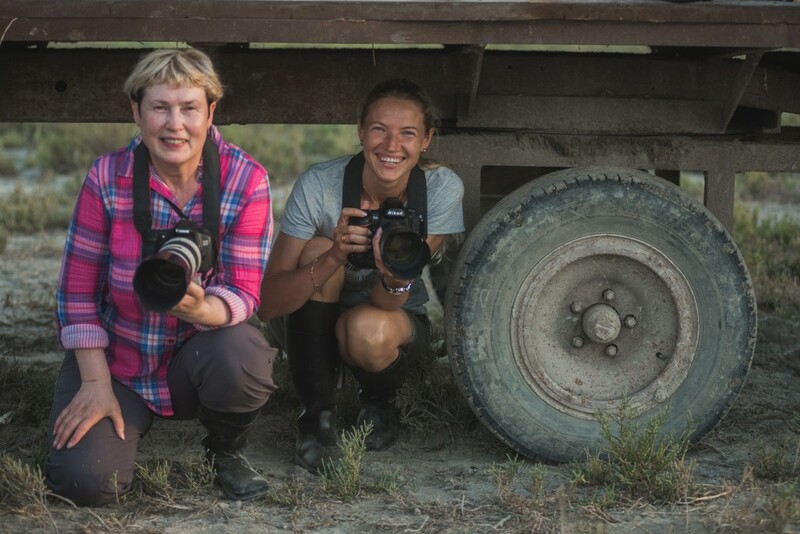 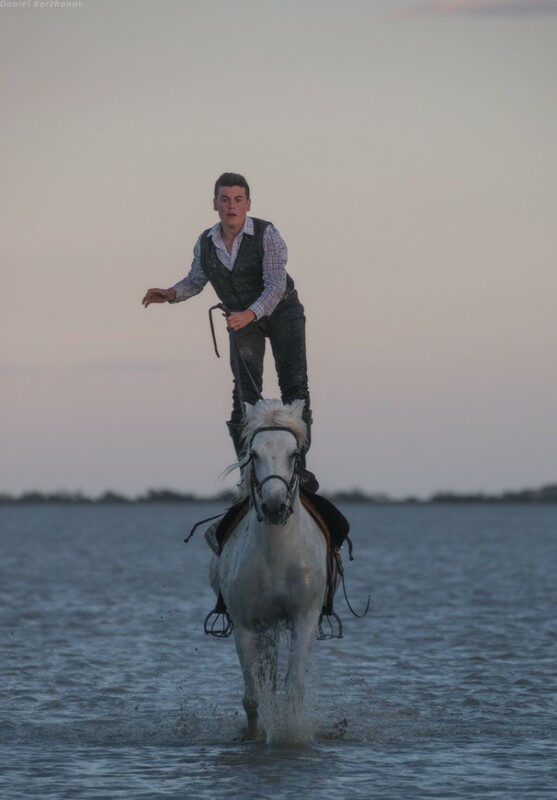 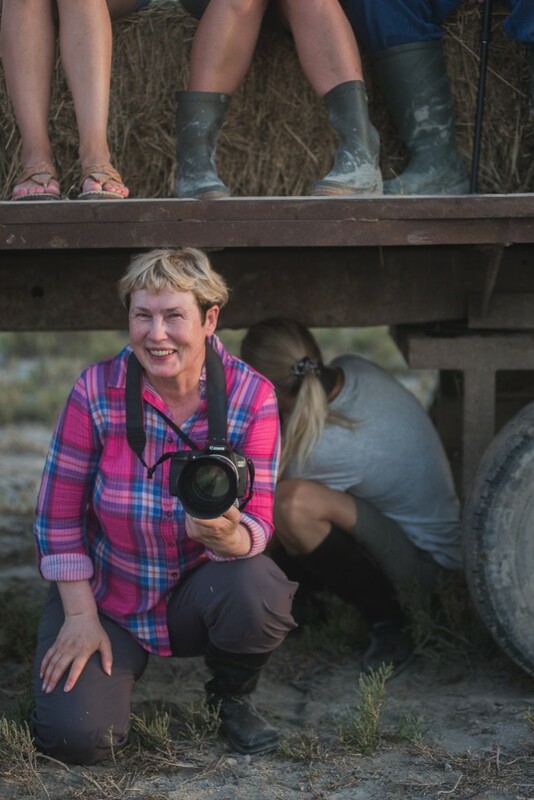 We will interact with our own private group of horses and riders to photograph at some of the most stunning locations: sea shore with waves breaking in, sand dunes at sunset with backlight, green marshes, rivers and flooded infinite lake. 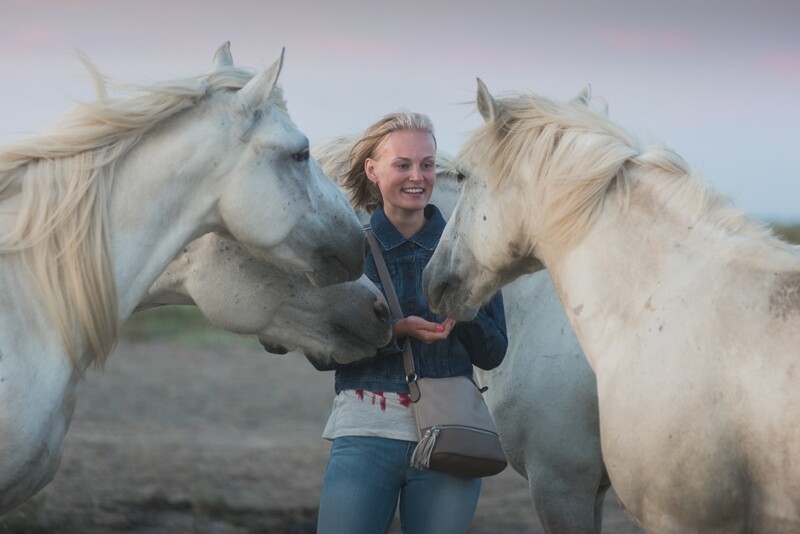 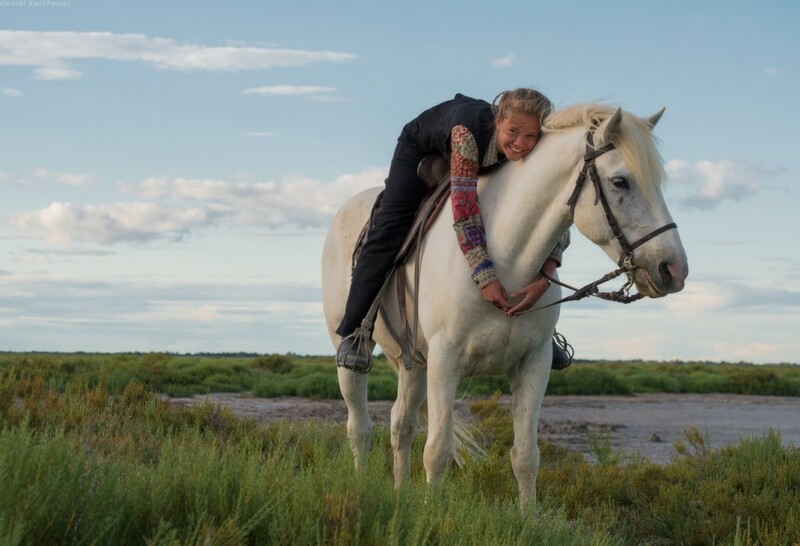 You’ll enjoy sessions with horses at the most beautiful time of the day with experienced guides and riders: at sunrise and sunset. 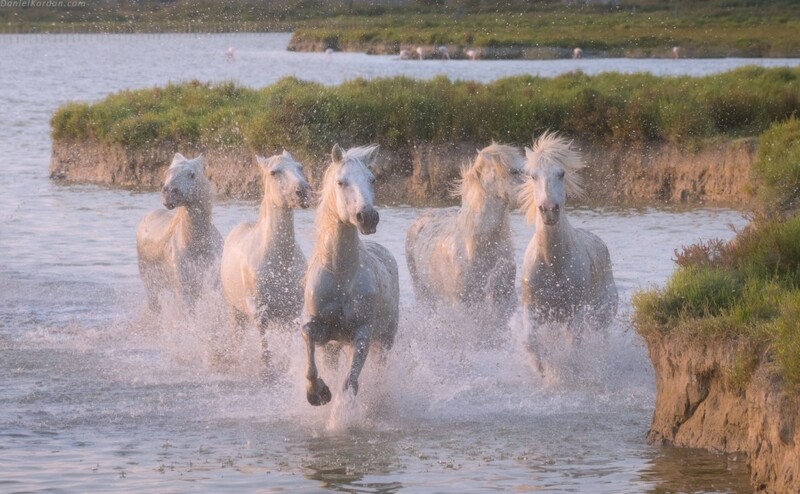 Our adventure starts at noon 4 July in the Marseille airport. 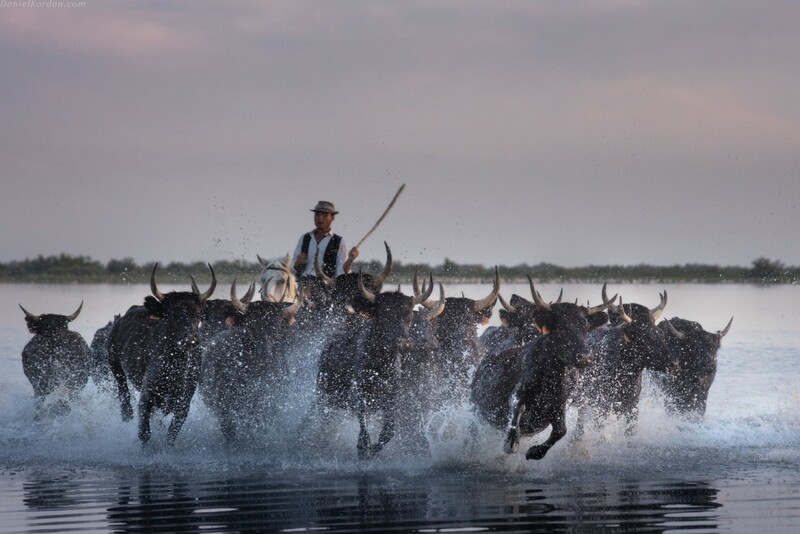 Please note that to meet our schedule, we must leave the airport at noon sharp. 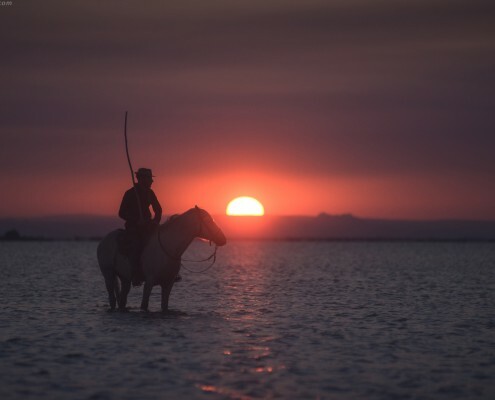 For this reason, newcomers are advised to book morning flights or stay in Marseille overnight. 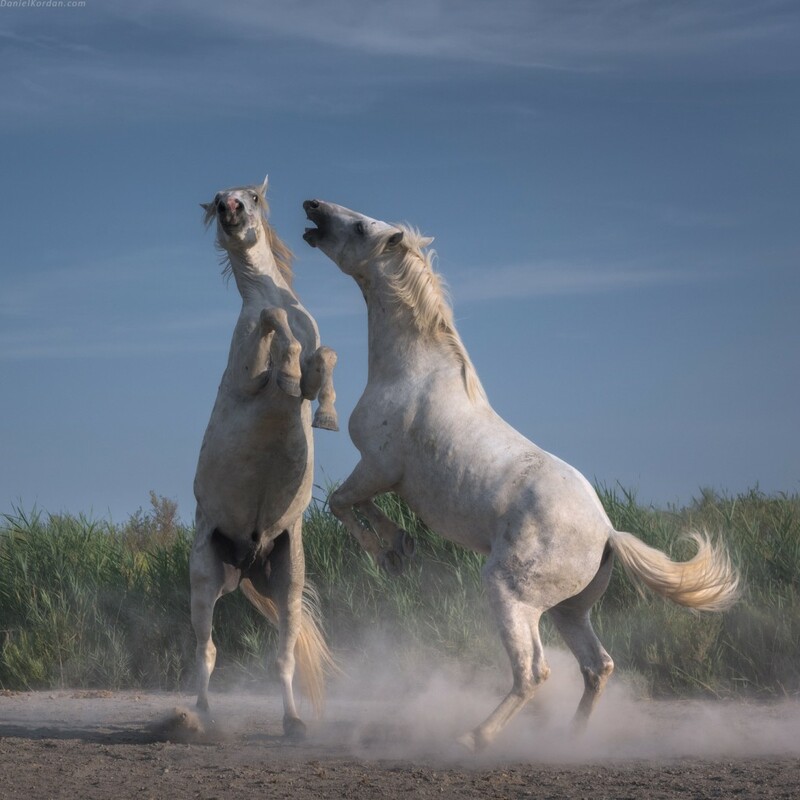 I recommend flying KLM or AirFrance. 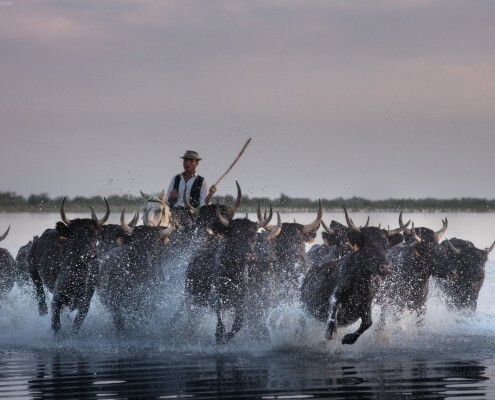 We meet at arrivals hall 1 opposite information kiosk. 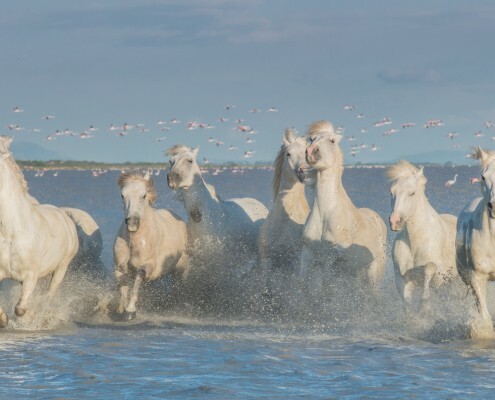 Arrival in the Camargue National Park (Parc Naturel Régional de Camargue), in the town of Saintes-Maries-de-la-Mer. 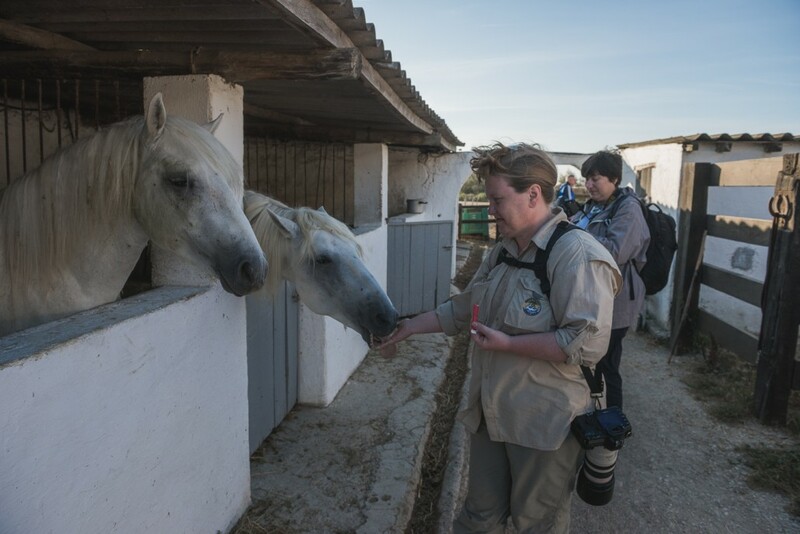 After lunch and a brief on photographing horses we’ll drive to our first shooting session. 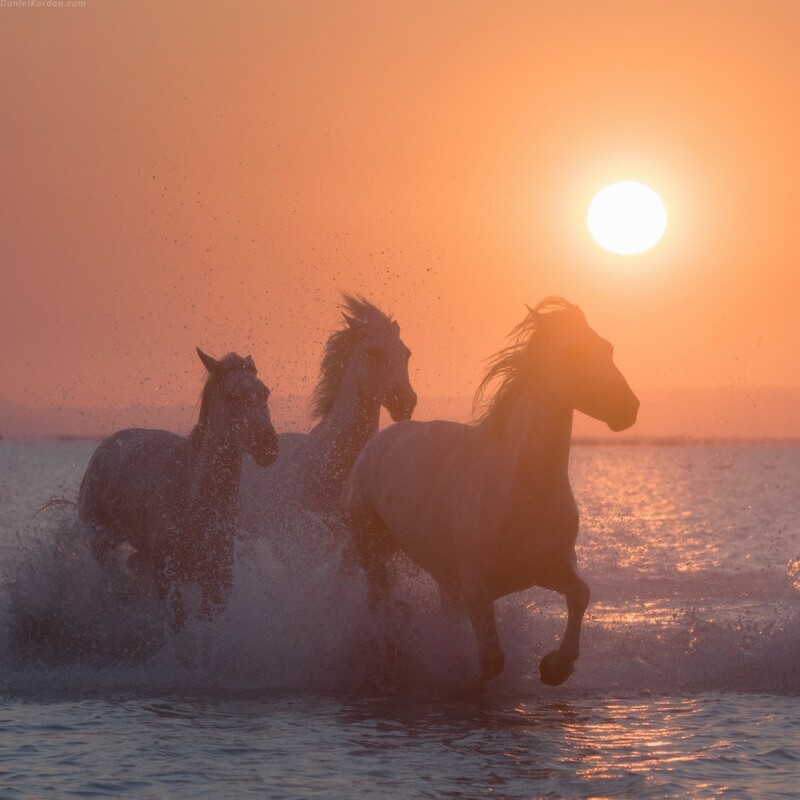 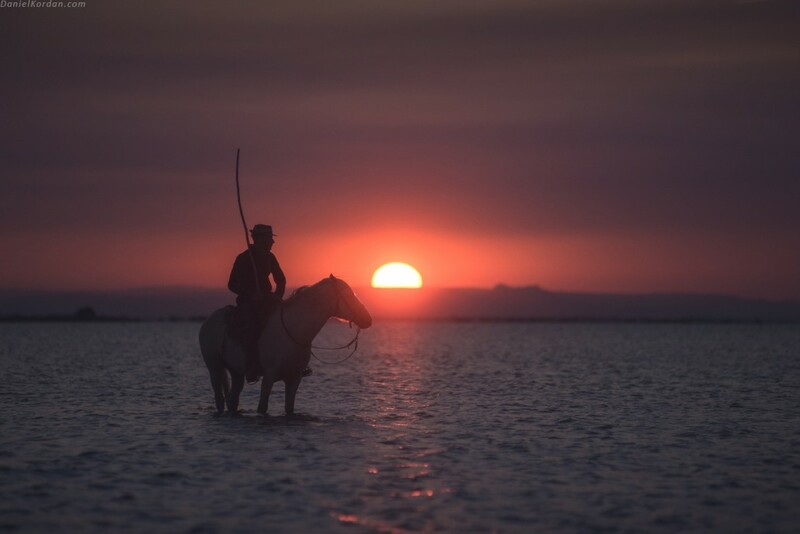 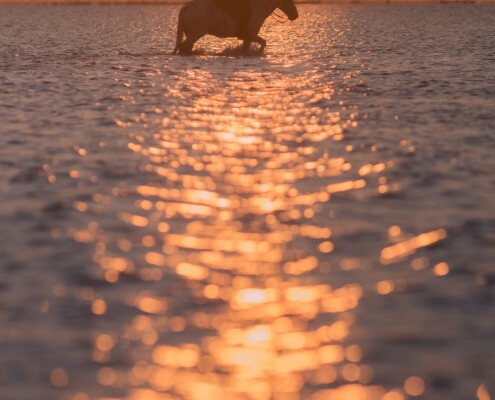 This evening we’ll photograph horses running through water on sunset. 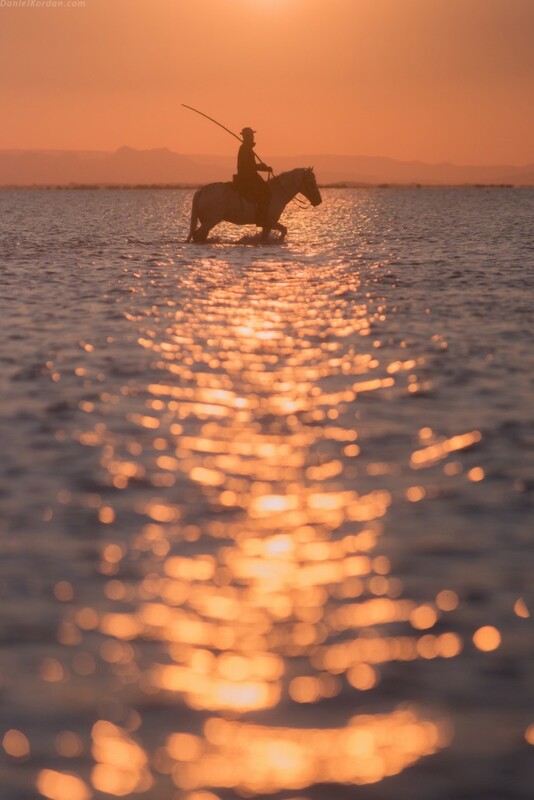 Early in the morning we’re taking equine pictures in the water again. 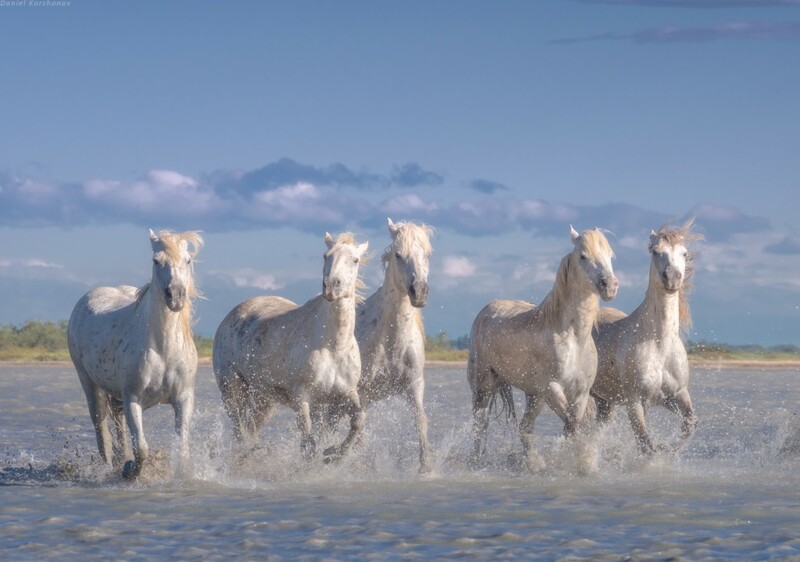 The ranchers will help us get a beautiful show of white horses galloping on a sandy beach or a shallow water. 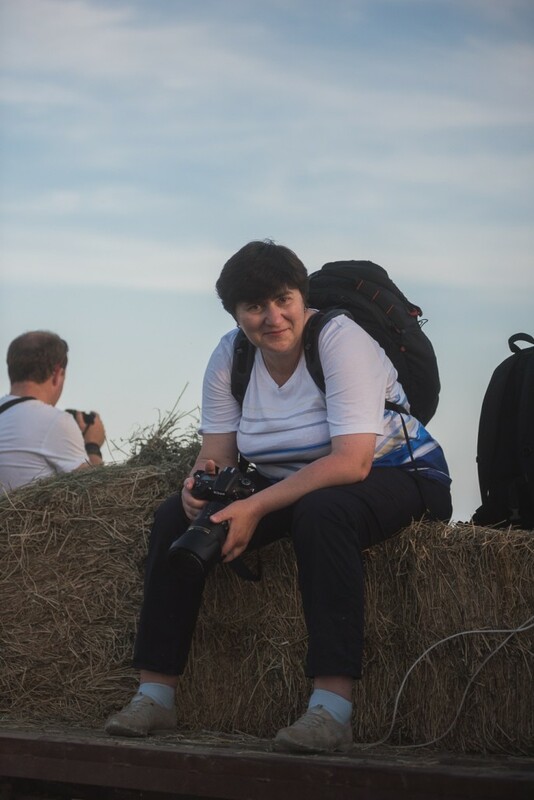 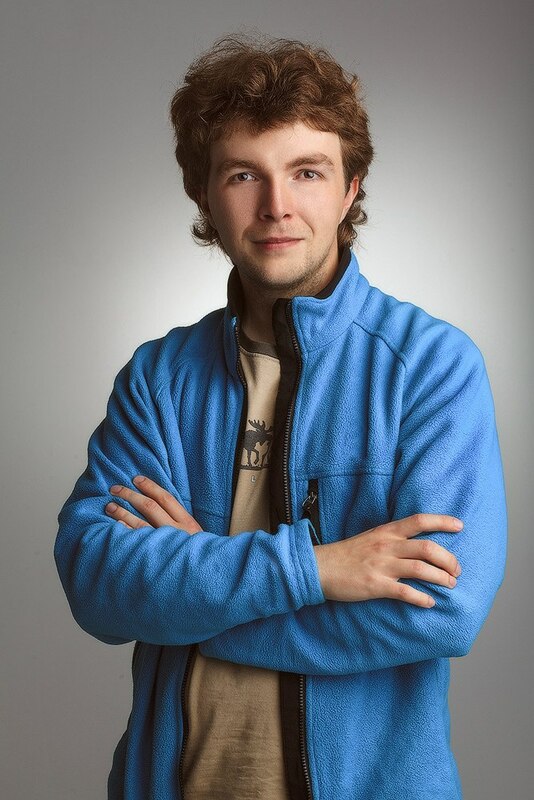 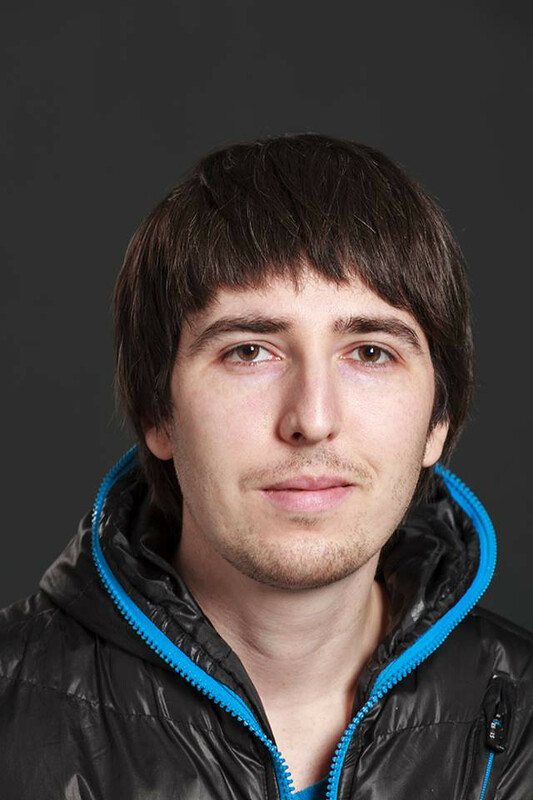 During the day, we’ll analyze the photos taken, and in the evening we’re off to the park again for another session. 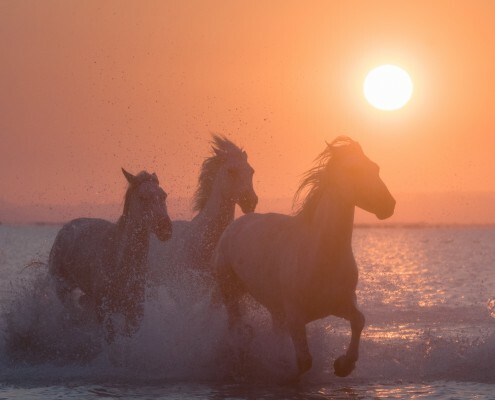 This time, in addition to the evening run, our helpers will bring together two stallions, and we’ll see them in all their passionate glory. 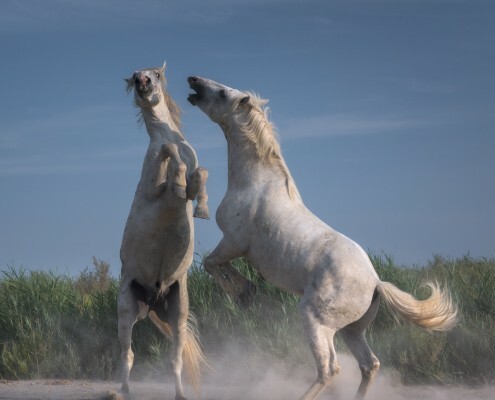 Have no fear, the situation is absolutely harmless but these noble animals can’t probably be more expressive than when two males rear up and start their power play. 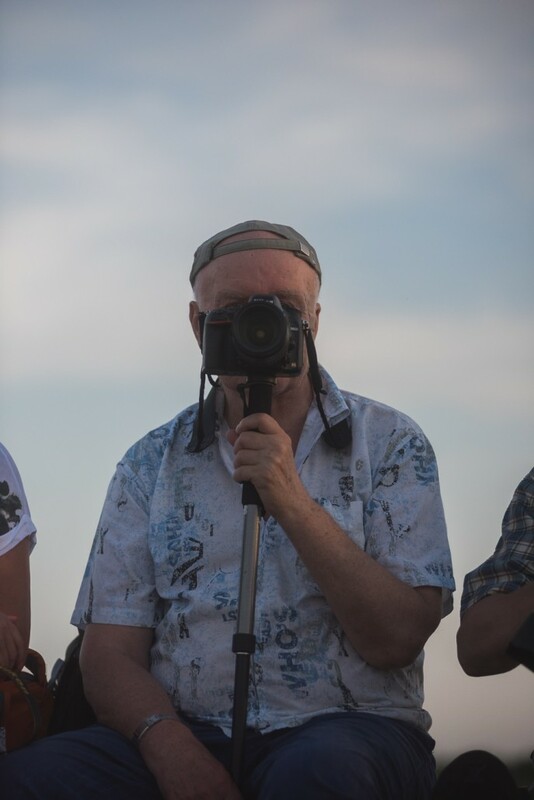 Just like yesterday, we’ll have two shooting sessions, one in the morning and another in the evening. 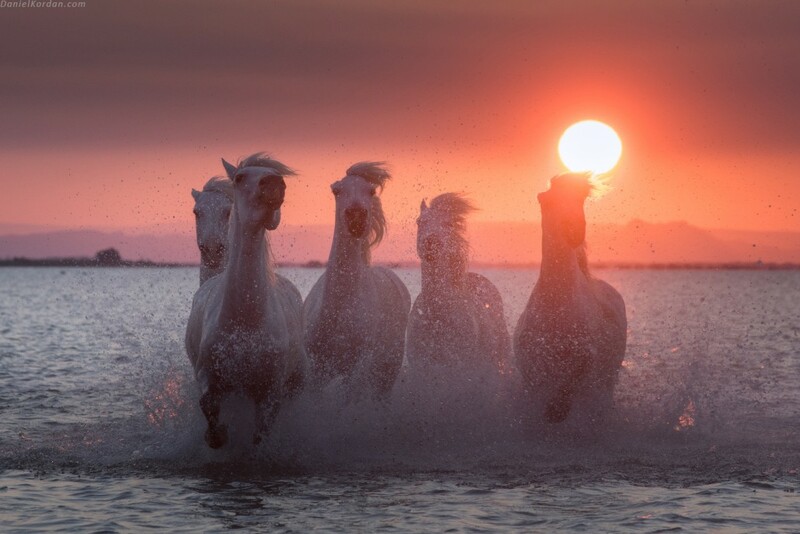 Each shooting session with horses will take 1 to 2 hours. 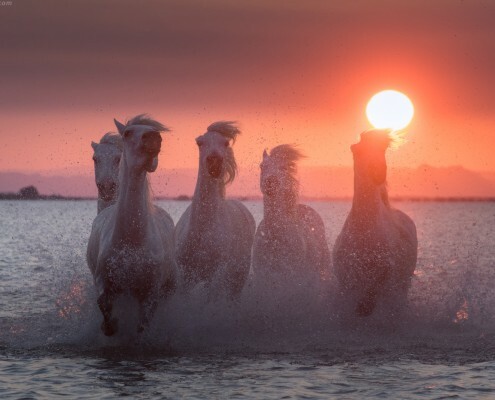 In total, there will be five of them: two in the mornings and three in the evenings (one of them can be moved to the afternoon). 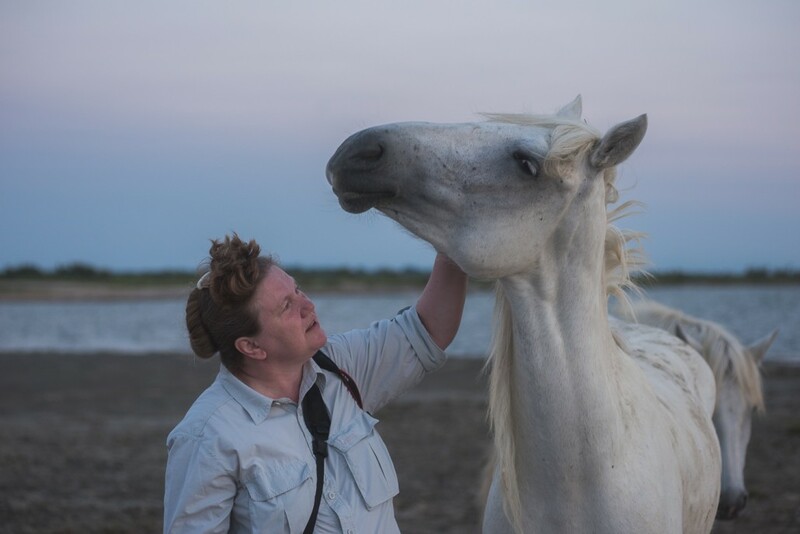 Each of these sessions will be in the open, with a whole herd of horses and several ranchers at our disposal – it’s a real feat that’s neither easy nor cheap to arrange outside of a big group. 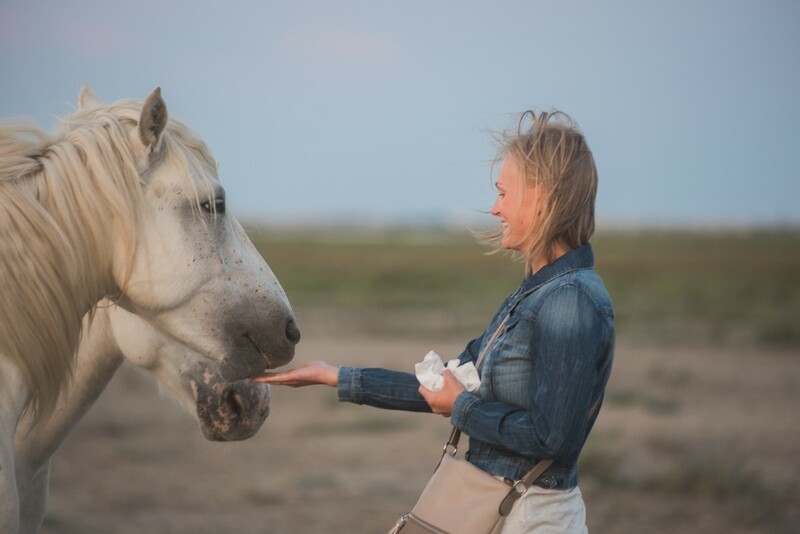 And believe me, the results are worth every penny! 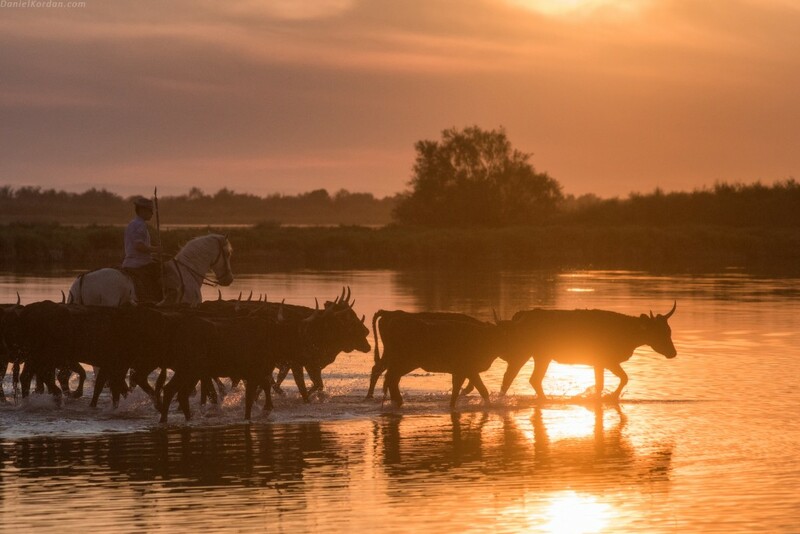 Besides horses, our second favorite activity will be birdwatching. 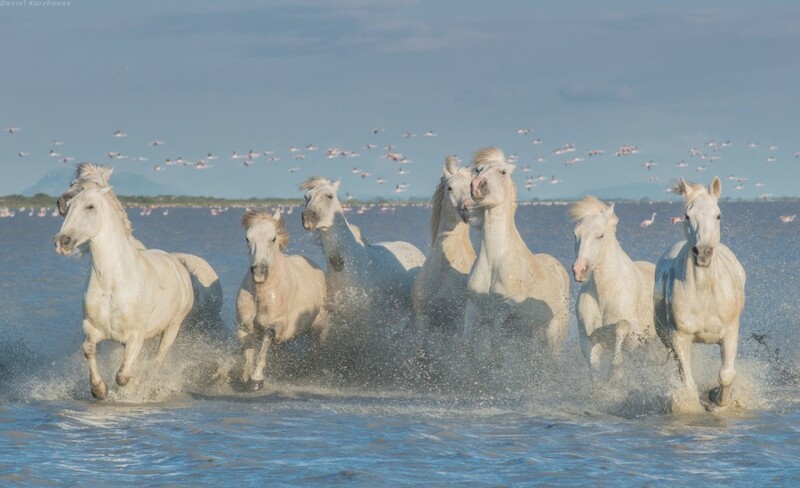 Camargue is a true bird paradise – there are about 340 species of birds in there, including the most famous of them all: pink flamingoes. 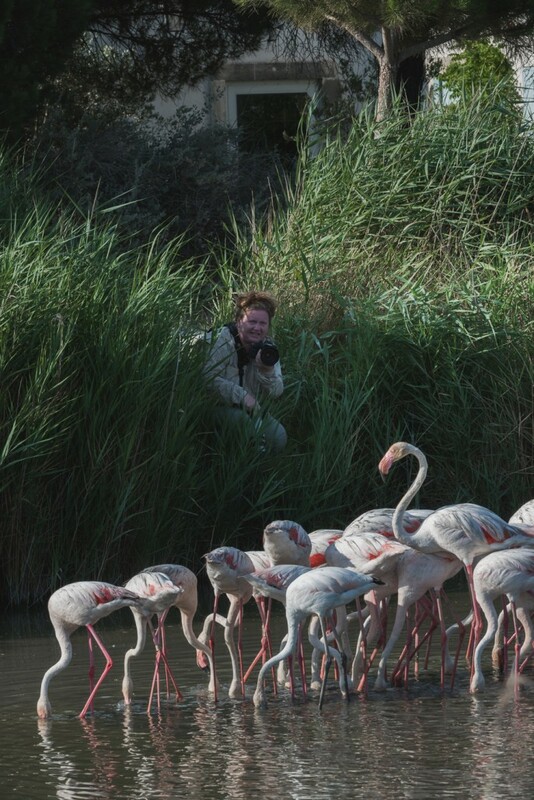 A small island near Saintes-Maries-de-la-Mer is the largest colony of pink flamingoes in the Western Mediterranean – and the only one in France. 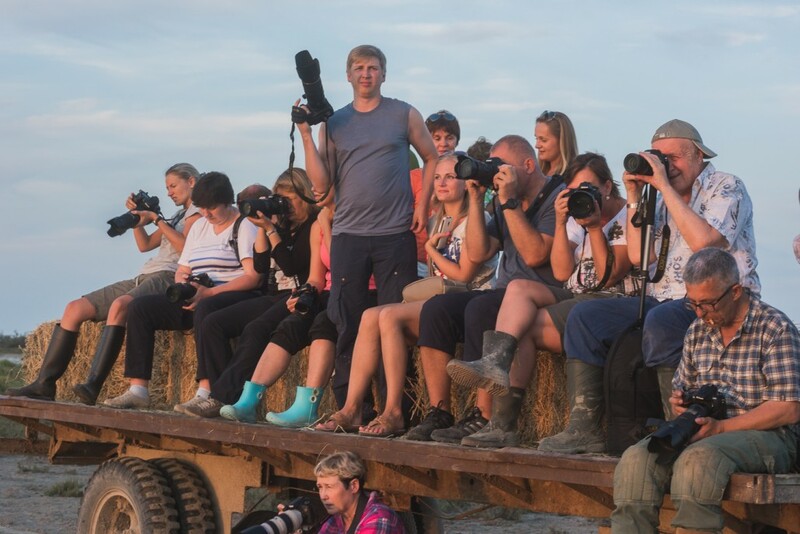 The park is very accommodating for birders as well as birds, with paths and observation booths in major locations. 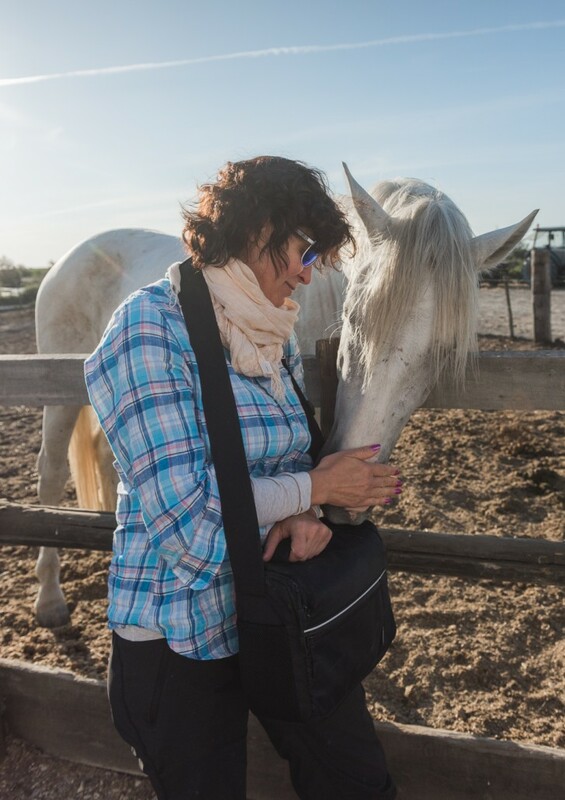 Another morning session with horses – and our adventure is over. 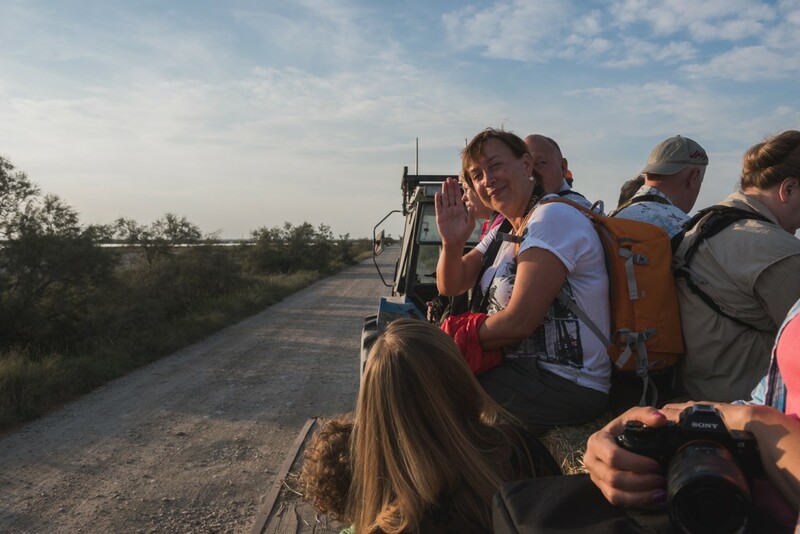 This morning we drive back to the Marseille airport and say our goodbyes. 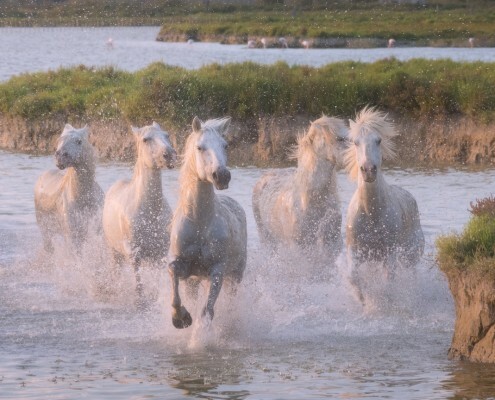 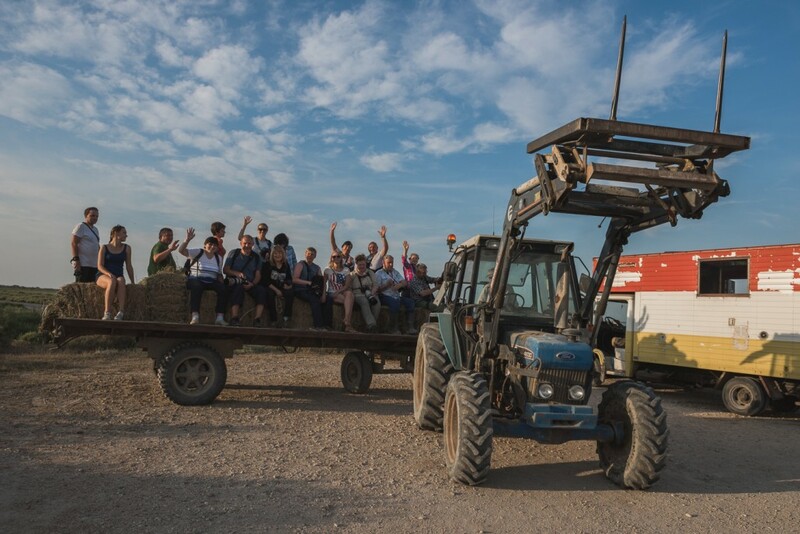 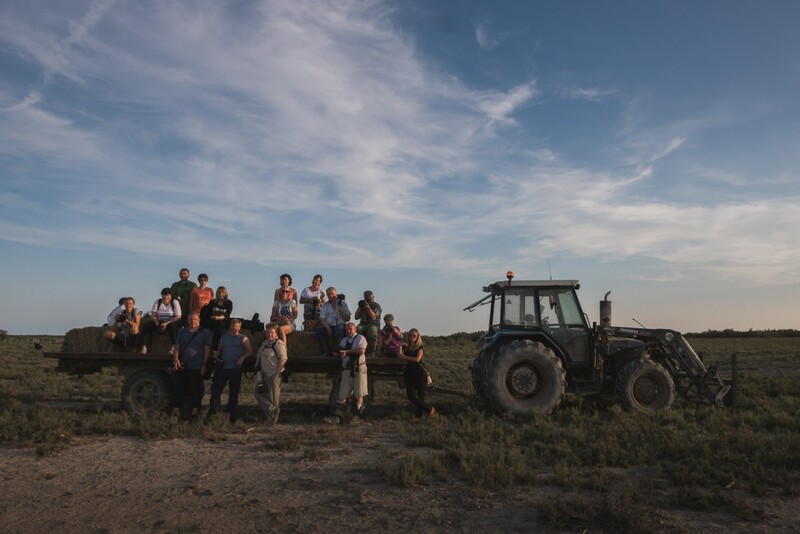 We drive from Camargue at 10:00 a.m. arriving at airport at 12:00 – 12:30 a.m.